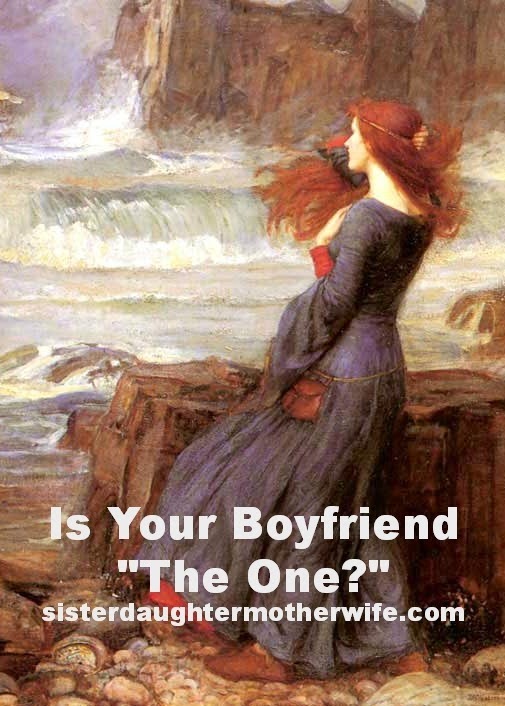 Sister, Daughter, Mother, Wife: Is Your Boyfriend "The One?" “…who thinks so much like me. For those of you who don’t recognize the lyrics above, they’re from the recent movie Frozen. And for those of you who weren’t crazy about Frozen, sorry you had to suffer through them as the opening to this article! It’s just that since both my sister and one of my best friends have been addicted to the Frozen soundtrack for months, I’ve had those lyrics stuck in my head quite often. Combine that with the fact that I’m dating someone with the intention of marriage, and the fact that I tend to overanalyze lyrics, and you can see why I’ve been thinking a lot recently about the concepts of dating, marriage, and soulmates. When I was younger, I put my analytical little brain to the concept of soulmates. 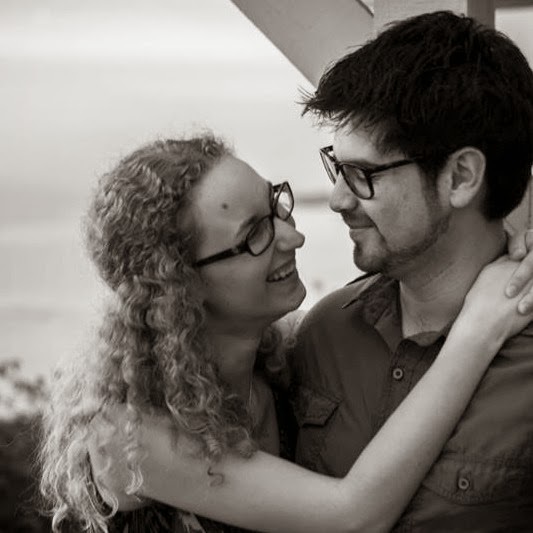 I reasoned, “what if your soulmate was born on the other side of the world, and you never got to meet?” Part of me thought it unlikely that your “perfect match” would come from a completely different culture, but there are obviously some people who meet their spouses overseas and live long, happy lives together. In fact, both my campus pastor and his father met their wives as a result of international student exchanges! Years later, that same campus pastor talked to my student group about Christian freedom, and how God does not have a set “right” and “wrong” option for every decision in your life. Even the extremely important decision of whom you marry is up to you. In other words, you can stop worrying about determining if your boyfriend is your one and only “soulmate,” because the idea that you have only one “soulmate” is simply untrue. Unfortunately, you’re still left with an intimidating situation. How do you decide if the man you’re dating is “the one” – not your soulmate, but the one man with whom you’ll spend the rest of your life? We can likely agree that the culture in which we live has some funny ideas about why people should get married. But if we’re honest with ourselves, we’ll admit that too often we fall into these same patterns of thought. Like the song from Frozen suggests, some women think that the “mental synchronization” that they have with their boyfriend is a clear indicator that they should be with him. Another train of thought (that I know I’ve used in the past) goes something like: “I met this guy I’m dating through such unlikely circumstances, God must have intended for us to be together!” A somewhat more extreme idea seems to be that to be able to legitimately contemplate marriage, you have to be passionately in love. That is, when you’re together, the heart-racing, butterfly-fluttering, mind-swirling feeling of love between you should eclipse and overwhelm, or at least permeate, everything else. Don’t get me wrong; understanding the other person is beneficial, meeting in an unlikely way makes for an interesting story, and “being in love” is a great and amazing gift of God. But what about when you get into a disagreement and just can’t understand how the other person is thinking or feeling? What about the other people you’ve met in unlikely ways? And what about when your passion starts to turn into something more accurately described as “comfortable,” so normal that you catch yourself taking that great and amazing blessing for granted? Well, one option is to simply leave the relationship. But to paraphrase one of my pastors’ recent sermons that really hit home, humans aren’t exactly creatures of contentment; we’re always looking for another thrill. And this is why that new relationship will always lose its novelty, and why this option only leads to disappointment and loneliness. Another option is to prolong the relationship, maybe moving in together, but delaying marriage indefinitely. Because if there isn’t only one man for you, then you have options, and what if this person isn’t your best possible option? What if that “someone better” comes along? And anyway, waiting until your late twenties to get married is the average now, right? While no relationship should progress to marriage without a period of waiting and serious, prayerful contemplation, I’d say that there are right and wrong ways to go about this contemplation. That is, it’s simply not helpful to dwell on certain questions. For one, you can never know for sure if someone else, “better than” or “equivalent to” your current boyfriend, will come along. So what questions are we to ask in the face of one of the most important decisions of our lives? I’d say that it all comes down to beliefs and values. Do my prospective husband and I hold similar views of life? Do we base our thoughts and actions on the same principles and truths? And because no couple will agree 100% on everything, how much common ground do we need? For example, one of my friends once told me that she and her non-Christian boyfriend are “equally yoked” because they both love God and other people. Her boyfriend is Jewish, so his idea of the “God” he loves distinctly excludes Jesus. Is this enough common ground to justify a relationship? To answer this, we need to look at how marriage is portrayed in Scripture. While Paul does talk about believing wives “sanctifying” their unbelieving husbands, this must be understood in the context of his other writings about marriage. In these writings Paul describes how earthly marriages are supposed to be a picture of the marriage of Christ and His Church. Christ laid down His life for the Church, rose again for her, and intercedes with the Father for her. And the Church receives these gifts and acts as Christ’s “helpmate,” His body in the world that reaches out in acts of mercy and love. If this is the picture that our marriages are to imitate, then we should strive to make sure our husband is a man who wants to model Christ in his life, loving us and sacrificing for our well being – not simply someone who wants to romance us for a while but whose love does not have the solid foundation of Christ’s love. And maybe even more than this, we should make sure that our husband is a man who understands that forgiveness – not the law of imitating Christ – is the essential component of marriage. Because he will fail, as will we, we need to make sure that we can direct each other back to the foot of the Cross, to Christ’s Word and Supper. It is here that we will receive the gifts that will not only keep our marriage together, but will strengthen us to live as a great blessing to our spouse. Do you and your boyfriend share all sorts of interests, or actually finish each other’s sentences? Great. Those things will probably make your life together easier and more enjoyable if you do get married. But don’t stress if your boyfriend doesn’t fulfill every little idea of what you thought you might want in a husband (for me, one of the most beautiful, exciting things about being in a relationship is that the other person is not simply an embodiment of my conception of “boyfriend”). Instead, seek out the help of your friends and maybe even your pastor, and figure out if this is the man with whom you want to paint a picture of Christ and His Church, for your Christian community and the world. Kaitlyn Nowak is a senior in college and current president of the Carnegie Mellon University chapter of Lutheran Student Fellowship of Pittsburgh. Her majors are chemical and biomedical engineering, and her job in the fall will be in consulting, but she has strong interests in theology, apologetics, rhetoric, and writing that she hopes to pursue more extensively in the future. She is a fan of music, hiking, and trying new foods, as well as a vocal advocate of naps. Kaitlyn doesn’t have a personal blog yet, but might persuade herself to write one in the near future.